A traditional maque choux (pronounced mock shoe) is a Southern Louisiana side dish inspired by two cultures, Acadian (Cajun) French and Native American Indian, made with sautéed summer corn, tomatoes, green bell and jalapeño peppers, onion, and garlic and typically finished with a touch of cream and a dash of Tabasco sauce. With some fresh okra from Sang Lee Farms on the North Fork, I decided to whip up a version of maque choux for lunch today. I grilled the vegetables first to give them a smoky flavor (and to keep the okra from becoming slimy) before adding them to the saute pan. With a link of grilled Applegate organics chicken andouille sausage I had a full and spicy meal. No Tabasco (or cream) required. Note: If you're not using spicy sausage, then add 2-3 drops of Tabasco sauce). 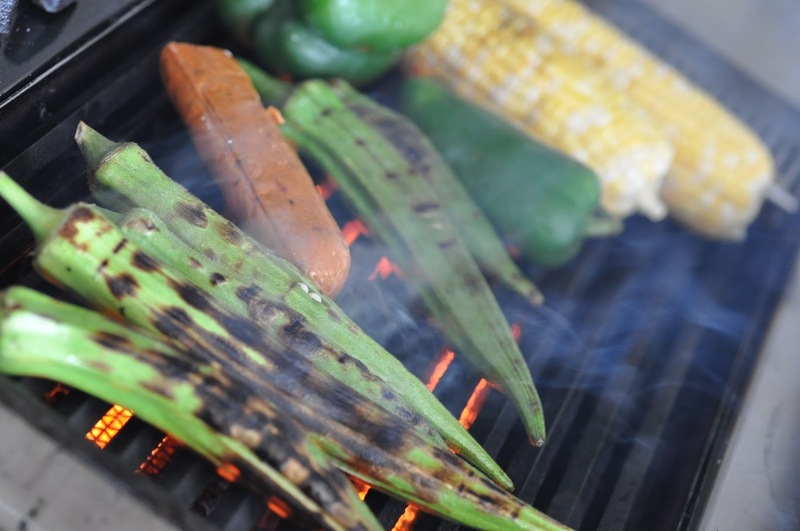 Preheat an outdoor grill or stove top grill pan. Wash and dry the okra, corn, tomato, green bell and jalapeño peppers, and brush lightly with olive oil. 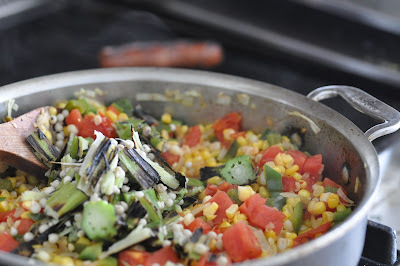 Over a high heat, grill the vegetables until there are black char marks and as they are ready, pull them off the grill one at a time and set aside on a plate. 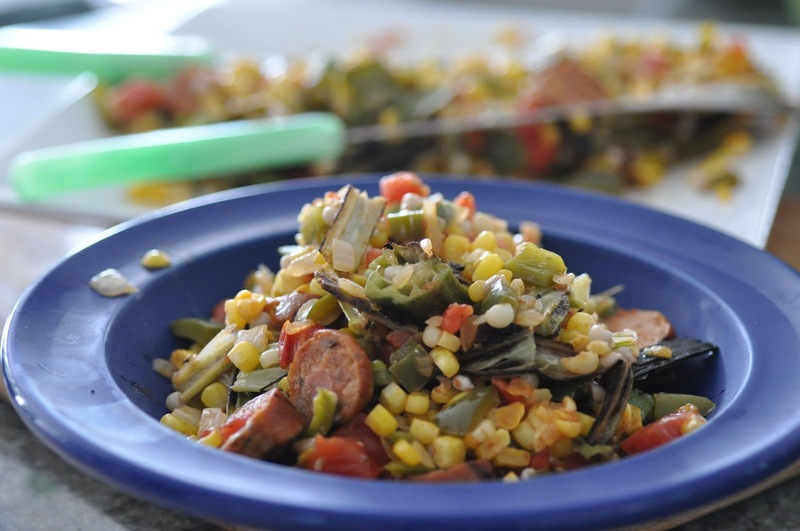 Grill the andouille sausage until it is cooked through. Dice half an onion and set aside. 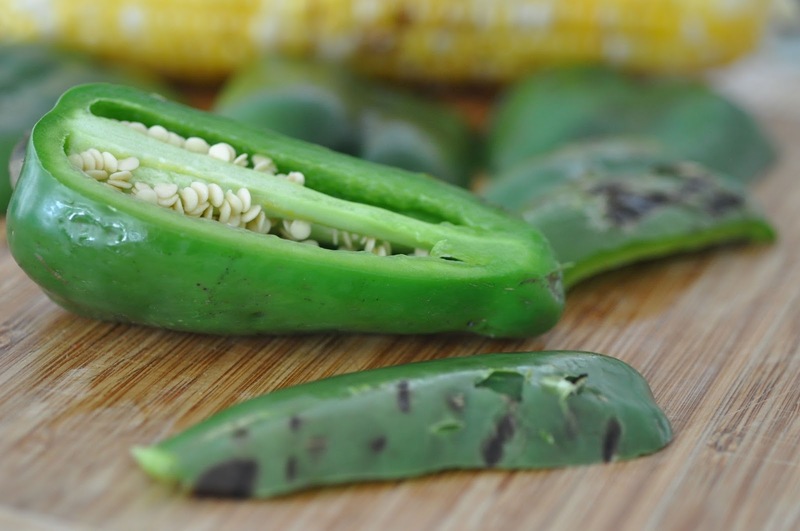 When all the vegetables are cooked, slice the okra into 1/2 inch wide pieces, remove the kernels from the corn, dice the tomato, green pepper and jalapeño. Slice the andouille into 1/4 inch circles. 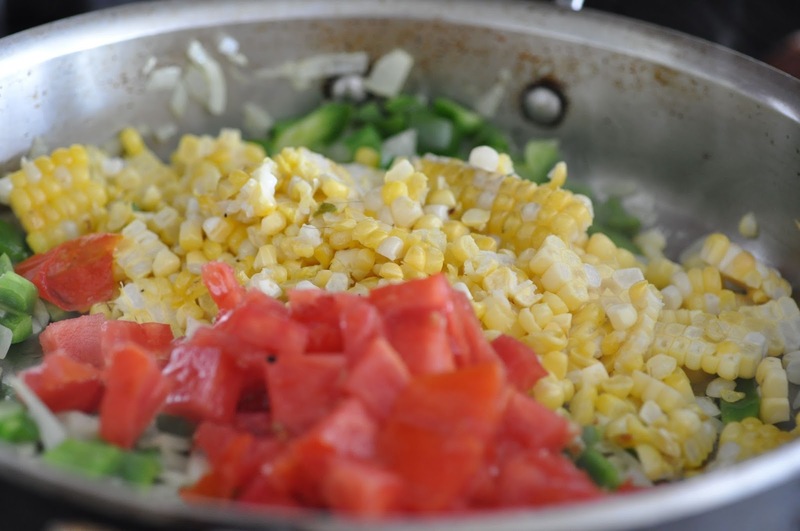 In a sauté pan over medium-high heat, add 2-3 Tablespoons of olive oil and sauté the onion and peppers until soft. Then add the diced tomato and okra, stirring until all the veggies are cooked through. 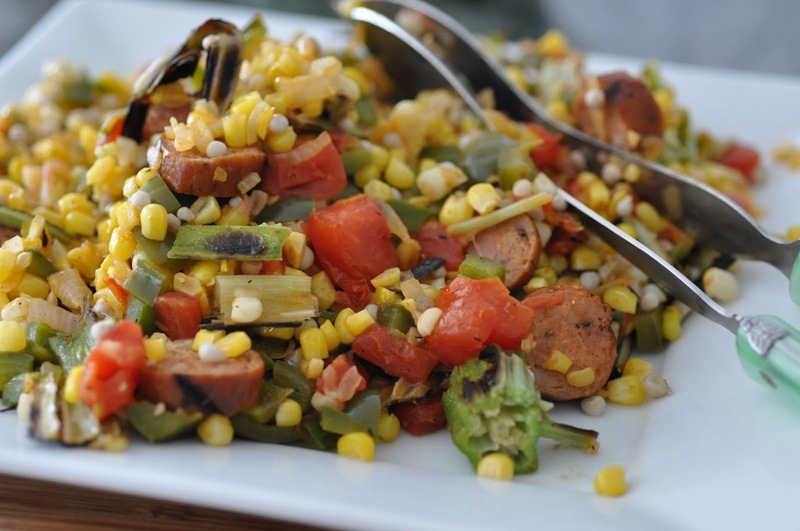 At the end, add the andouille sausage pieces and gently stir to incorporate them into the vegetable medley. If you're not using a spicy sausage, stir in 2-3 drops of Tabasco Sauce. Serve.